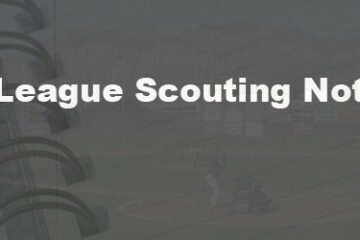 Over the weekend the Arizona Fall League held it’s annual Fall Stars game. It’s not technically an All-Star game, but it’s sort of treated as one. It’s more of a showcase for the top prospects in the league. 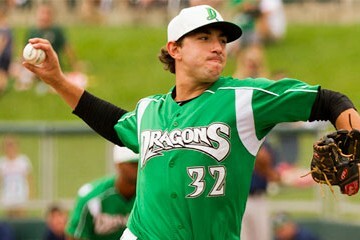 For the Cincinnati Reds representation, it was left handed reliever Brennan Bernardino. The lefty didn’t enter the game until the 8th inning. For Brennan Bernardino it was a high leverage situation – his side was trailing 2-1. He would get a ground out from the first batter he faced. The next hitter would take a walk, though. Bernardino buckled down and would strike out the final two batters of the inning. The East would score three times in the bottom of the inning, giving the Reds prospect the win. Statcast took a reading on the final pitch that Brennan Bernardino threw, a curveball that froze Austin Riley. It was 77 MPH and broke right into the strikezone to end the inning. The impressive part, though was the 3063 RPM spin rate. While that is just one pitch, and we don’t have the data for the other curveballs he threw (eight in total), that’s an elite spin rate. For his time in the Arizona Fall League, Brennan Bernardino has thrown 8.0 innings with just one run allowed, two walks and he’s struck out seven batters. He’s also been a ground ball machine. Of the 21 balls put in play against him, 16 of them have been grounders (76%). During the regular season his ground ball rate was 50%. We do have some other information from the game on Brennan Bernardino, though. His fastball worked from 91-93 MPH, averaging 91.9 MPH. The left hander also threw two change ups, both at 85 MPH. His curveball worked in the 74-78 MPH range. He didn’t have the best control on the night, throwing 19 pitches with just nine strikes. The one walk he issued came on four pitches. Over the weekend Gabby Guerrero put together a 4-8 weekend with a home run and three runs driven in for Estrellas Orientales. 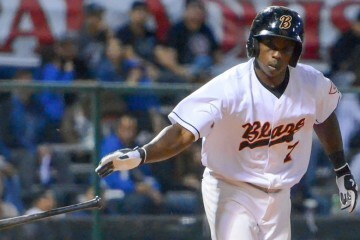 It helped push his line in the Dominican Winter League on the year to .309/.328/.436 through 14 games played. He’s also stolen three bases without being caught. 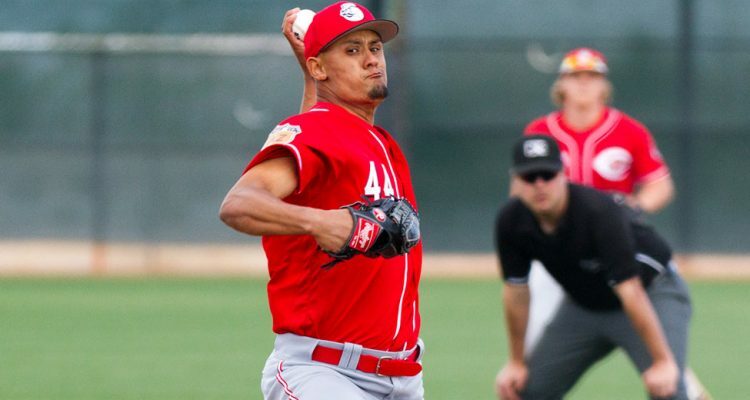 Jose Siri got his first start in the Dominican Winter League in two weeks on Sunday. He went 0-3 on the day. He’s now 0-10, mostly having been used as a pinch runner. He’s stolen six bases in six attempts in eight games (three starts). Sure would hate to see Gabby Guerrero leave the organization. Watched the Bernardino performance Saturday. He really looked as though he might be ready in 2018 as a situational lefty. That curve can be a killer on lefties. I really don’t remember that when he was in Dayton so he has really developed it since. That curveball is what stood out to me in Dayton a few years ago. With that said, lefties absolutely crushed him in 2017. They hit .340 with a .448 on-base percentage against him. Bernardino is a fierce competitor. He grew up and played sports in my neighborhood. I agree, I think he would be a good situational lefty. Very good curveball. Reminds me of Jesse Orosco of the Mets of a few years back. I heard the Reds worked with Bernardino on setting up lefties between the season and the AFL. I believe he is now having great success against lefties in AFL. It’s all part of the development process. Doug, do you have Bernardino’s stats vs lefties in the AFL? Not that they tell us anything because he’s thrown 7.0 innings, but the only run he’s allowed came against a lefty, and he has 1 walks and 3 strikeouts against them in 2.2 innings. Thank goodness. That would have been way too much money. Talk to him about a 2-year deal if you want him back. It won’t cost you much more than the qualifying offer would have for one. Really hard to believe the Reds couldn’t trade Cozart over 2 full years. I hope we don’t overpay trying to retain him. As much as I’ve enjoyed Cozart, I think it’s probably time to move on unless the free agent market stays flush with shortstops. MLB Trade Rumors predicts Cozart will get a 3 year contract worth $42M. That may be high, but 2 years for less than half of $42M is too low. Remember the Reds paid Brandon Phillips $13M to play for the Braves last year. Devin Meseraco is signed for $13M with the Reds for 2018. Doug do you think Bernardino has a shot of making the MLB bullpen next year kinda like Peralta did last year?